What's my Wellington home worth? The prestigious Wellington of Flower Mound community was established in early 1995. 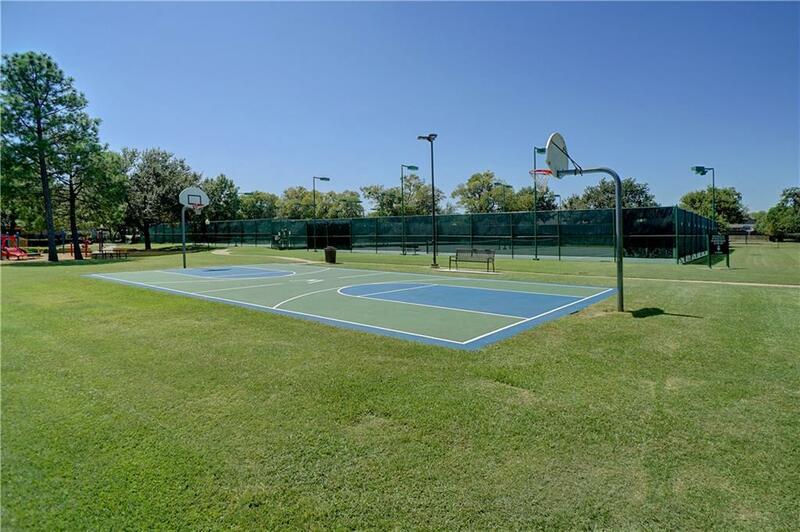 The Wellington Athletic Club has 5 lighted tennis courts, basketball court, putting green, sand volleyball court, playground, 9-hole disc golf course, junior Olympic-size swimming pool, tot pool, cabana, state-of-the-art fitness facility managed by The Cooper Aerobics Center, a multipurpose room, 2 locker rooms, and a conference room for small meetings. 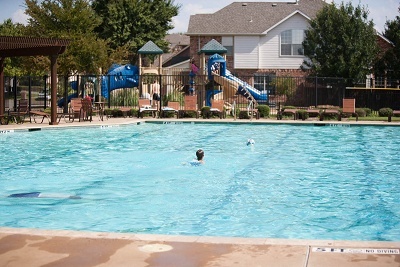 The Wellington West Center includes a junior Olympic-size pool, cabana, and playground. Several major companies have opened new headquarters in the North Texas area due to the prime real estate, excellent climate and thriving economy leaving hundreds of employees looking to purchase Wellington of Flower Mound Homes for Sale & Real Estate. 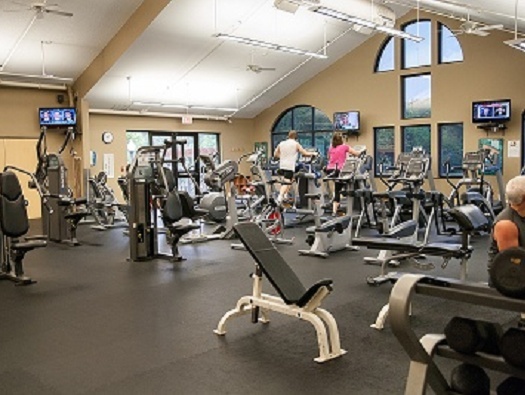 Wellington Fitness Center is professionally staffed by the Cooper Aerobics Center. Cooper believes in providing a quality fitness program in a professional and nurturing environment. Individuals have access to educational, exercise, and adherence programs designed to encourage healthful lifestyles. A degreed and certified Fitness Director is available on-site for any questions you may have about your personal fitness program. The Director’s hours are posted on the office door in the fitness room. Wellington of Flower Mound is primarily pre owned, single family homes and is perfect for the first time homebuyer or a family looking to move up in size. Wellington of Flower Mound Homes for Sale & Real Estate ranges from around $250k to $400k. Information about Wellington of Flower Mound Homes for Sale and Wellington of Flower Mound Real Estate can be found calling or stopping by our office located just South of Wellington of Flower Mound in the master-planned community of Castle Hills. Stop by or call Renee Mears Realtors for a list of currently available homes in Wellington of Flower Mound. When looking to buy a home in Wellington of Flower Mound or sell a home in Wellington of Flower Mound it is always best to use an experienced Wellington of Flower Mound Realtor. If you are interested in Wellington of Flower Mound Homes for Sale & Real Estate call Renee Mears at 972-489-0828. What’s my Wellington home worth? Beautiful KHOV 1.5 story located on a quiet street within walking distance to all 3 schools & community amenities! Top notch finishes! Private study off foyer. Formal dining with butlers pantry & access to kitchen. Friends will gather in the spacious kitchen w large island & opens to the family room where you'll find a stone FP & TV niche with builtin cabinets. Ideal floor plan with 3 way split bedrooms each with a bath! Master retreat with luxury bath! Watch your favorite movie in the upstairs media room w projector, screen & full bath! Step outside to the spacious covered patio, sparkling pool, custom arbor & low maintenance yard. Great location with easy access to DFW Airport, Grapevine Lake & major roads. Beautiful two story brick home with 4BR 2.5 BA located in Wellington of Flower Mound. Fresh interior and exterior paint. New carpet throughout. Formal dining room upon entry. Open Family room with high ceilings and fireplace. Kitchen is spacious and offers new stainless steel appliances and breakfast bar. Master bedroom accents en suite including dual vanity and soaking tub with separate shower. Backyard is fully fenced with open patio. Walking distance to dining and shopping. Close to local parks and schools. Come view this home today! Located in one of Flower Mound x2019;s most popular neighborhoods-Wellington Estates. An open floor plan, high ceilings and windows filling a spacious living area with natural light. Enjoyment, relaxation and privacy await you in the home x2019;s first floor master suite. The large kitchen features a breakfast bar with stone counter tops, a gas cook top and sizable breakfast nook. A formal dining area fills out the first level along with an expansive nearby study with its own full size bath! 3 roomy bedrooms are upstairs with walk-in closets, two full baths and a large game room with plenty of space for entertaining. There's also a convenient three car garage with front entry. Beautifully updated Wellington home on a cul-de-sac*Handscraped hardwood floors, designer paint, wrought iron spindles*Private study w French doors off entry*Spacious kitchen w huge island*Butlers pantry for easy entertaining*Desirable open floorplan*Large east facing living and breakfast room w huge windows for great natural light*Master retreat downstairs*3 bedrooms and 2 baths upstairs*Great size gameroom for the kids or second living up*Oversized patio w private fenced yard*Attends highly sought after FM schools*Walking distance to elementary school*Amenities include pool, tennis and more*Convenient to DFW, Grapevine Lake, shopping and restaurants! CHARMING WELLINGTON HOME WITH ROOM FOR THE WHOLE FAMILY! Prepare meals in the light & bright kitchen boasting an island, walk-in pantry & gas cooktop or enjoy hosting in the cozy family room accented with a corner fireplace. The dining area is full of room for everybody to enjoy a good meal. After a long day, escape to the large master suite showcasing dual extended vanities, a garden tub, separate shower & two walk-in closets or entertain family & guests in the spacious game room. The expansive backyard with mature trees & a patio will allow for evenings of relaxing and getting some fresh air. Great location near Grapevine Lake with easy access to 2499. Attends highly sought-after Flower Mound schools! HIGHLAND CUSTOM HOME HAS BEEN TOTALLY UPDATED. (APPROX $30,000 IMPROVEMENTS) HOME IS LOCATED ON ALMOST .23% ACRE. xD; xA;GREAT FOR KIDS AND ON THE CUL-DE-SAC, 2 BLOCKS FROM THE WELLINGTON REC. CENTER AND POOL WITH ATHLETIC WORKOUT AREA. ALSO TENNIS COURTS AND PLAY AREA FOR KIDS AS WELL AS FISHING POND . xD; xA;JUST 4 BLOCKS WALKING DISTANCE FROM AWARD WINNING ELEMENTARY SCHOOL, McKAMY MIDDLE SCHOOL, AND F.M. HIGH SCHOOL. Come home to this stunning house in Wellington Manor! This lovely 5 bedroom home boasts many upgrades, including extensive hand finished wood floors, spiral staircase with iron spindles, granite counters, upgraded kitchen cabinets with custom touches and stainless GE appliances. The first floor features a completely open floor plan with a bright eat-in kitchen, a large living room with accent fireplace and a bright breakfast nook with access to the extended backyard patio. Large master suite with bay windows, en-suite with dual vanities and huge closet! Upstairs features loft with kitchenette, media room and 4 large secondary bedrooms. Backyard covered patio includes built-in grill, fridge and bar top.